Franklin made good money off this magazine, which he invested wisely and honestly. 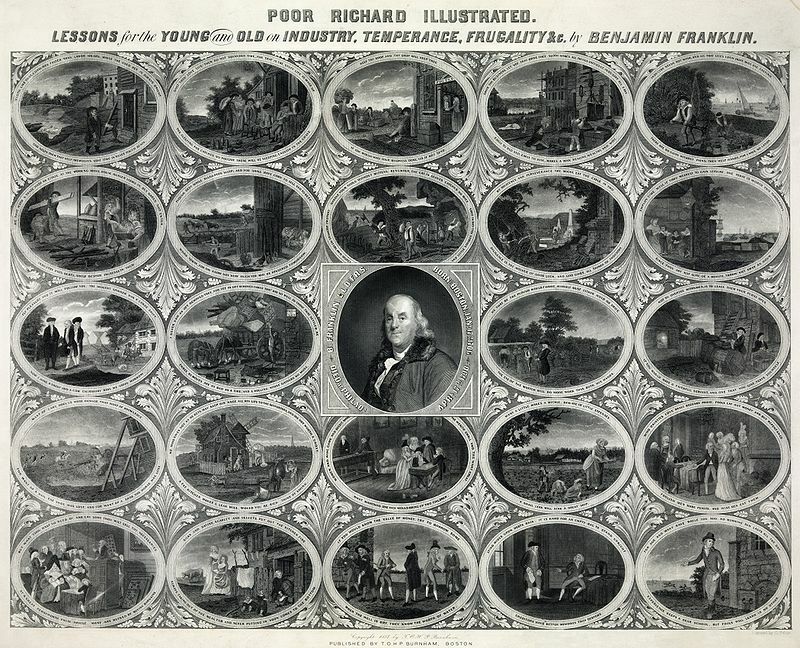 Franklin believed that those who were fortunate enough to get to a place in their life where they didn’t have to work to make a living were duty bound to devote a good portion of their time to make life better for mankind, a principle which he lived. 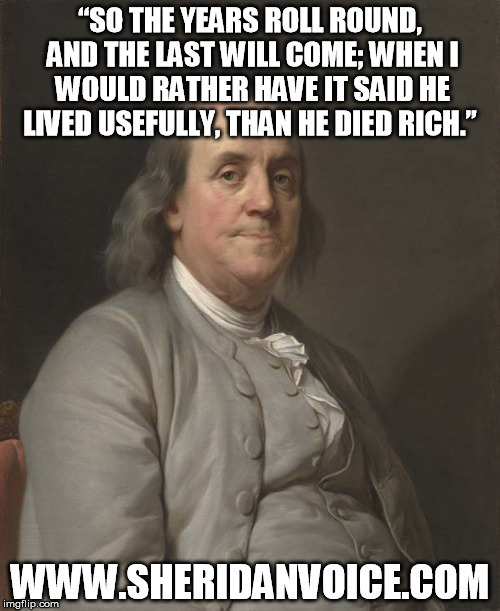 Imagine if Doctor Franklin after having made his fortune by the age of 42 had gone on a permanent vacation. We would probably have never heard of him, and there probably wouldn’t have been an America! Imagine what our lives would be like today if Franklin lived out the rest of his days for his own pleasure. Can you see into the future? Look at your life now and ask this question: How will future generations benefit from me? May we have more Franklin’s today.